One of my dearest friends recently married the love of his life, and the wedding celebration was the perfect opportunity to wear this leopard and lace dress from Boston Proper. 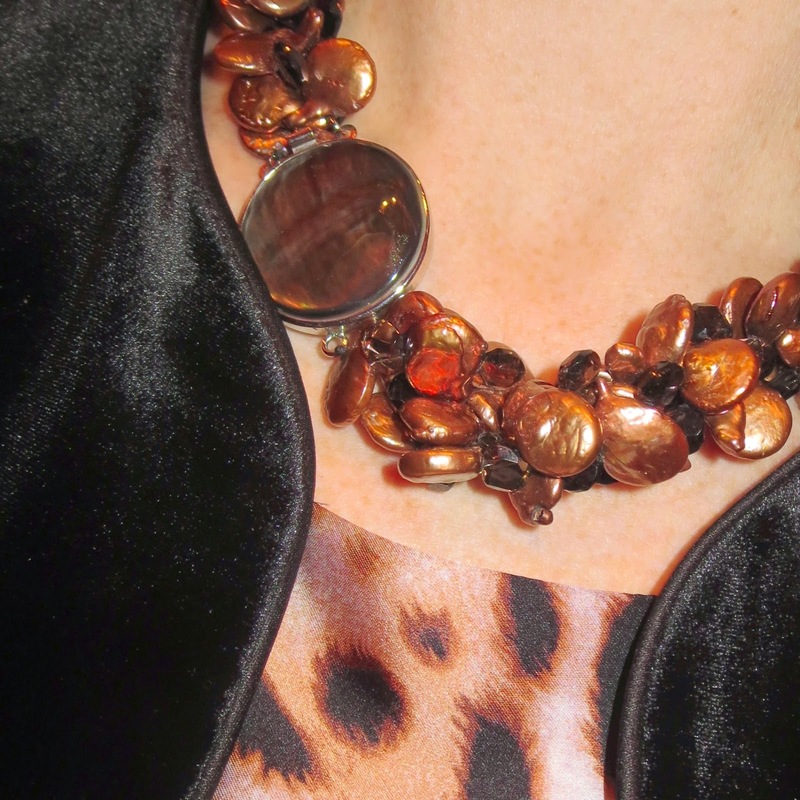 I like animal prints, but I typically limit them to accessories (like a belt, scarf, pair of shoes, or a bag). 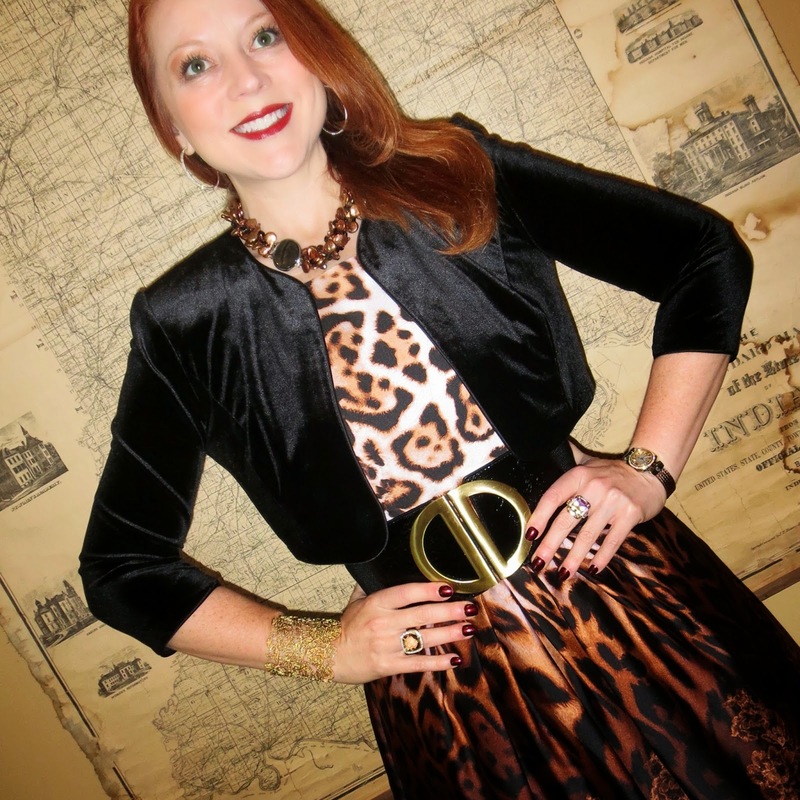 I've admired bolder splashes of leopard on others (and last year I couldn't resist this dramatic spotted cape from a "style swap"), but every time I've tried on a top or dress with an all-over animal print, it's felt too "busy" for my own comfort level. The copper keshi pearl and smoky topaz torsade is from a market in Shanghai, China, picked up on a business trip. I felt completely different about this particular dress. The scale of the spots is quite large, which makes the print seem more subdued and abstract, while the full skirt and ombre effect that fades into a lace design add unique interest and cocktail party flair. I actually hadn't planned to wear knee-high suede boots with the dress, though, and I'm still not sure how I feel about the combination. But a swollen, angry toe wanted nothing to do with the strappy little heels I really wanted to wear. Just three days before the wedding, a mishap involving a kicked kitchen cabinet, a dropped iPad, and a marble floor resulted in a broken toe on my left foot (the incident was of the accidental variety and NOT due to bad temper). The boots were my only option outside of flip flops or tennis shoes. The way the leopard print melts into the lace design at the bottom of the dress is my favorite part of the design. As luck would have it (or my luck, anyway), the very next day I also crushed the tip of my finger in a friend's manual garage door. Luckily, I didn't break anything else, but I'm fairly certain I'm going to lose the fingernail (and it wouldn't be the first time I've lost a nail due to a smashed finger). 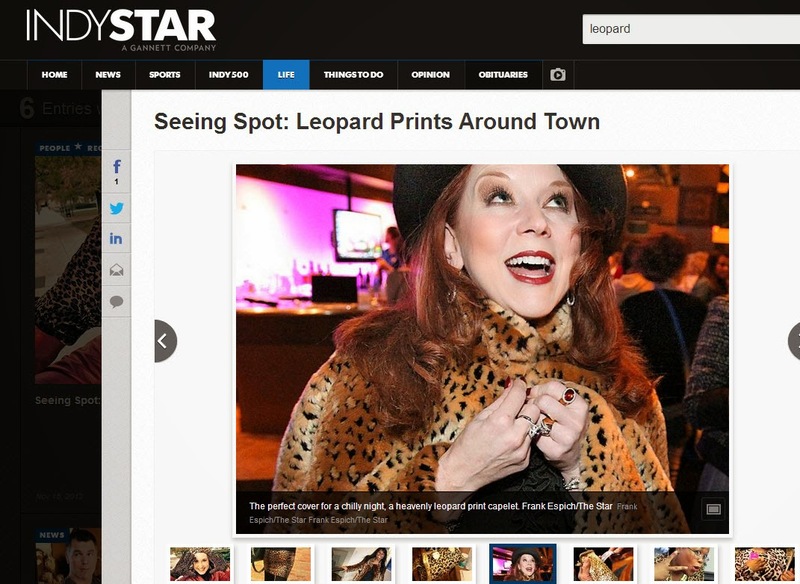 Too bad wearing leopard doesn't also give me cat-like reflexes!